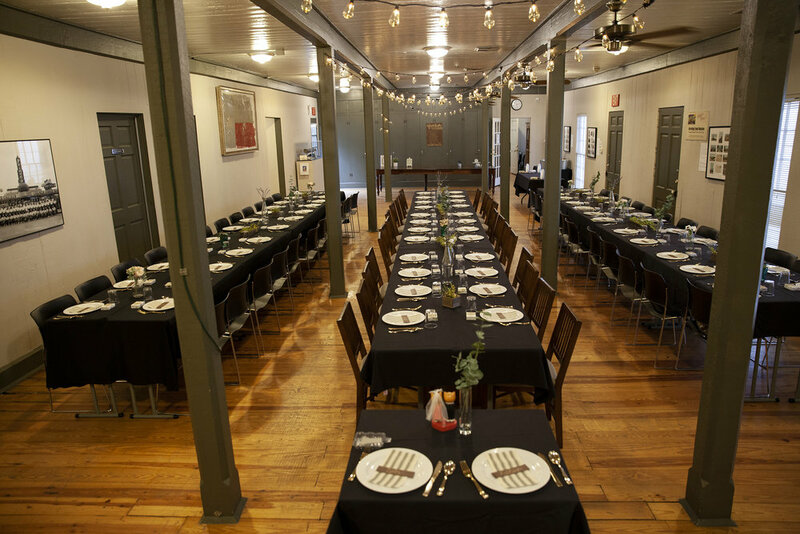 The Heritage Society offers a variety of unique spaces for private events. When selecting THS as your next venue, you are supporting the museum’s exhibitions, programs and community outreach. Entertainment at THS is a benefit for Corporate Partners and members of the Heritage Society. St. John Church is a one room church with elements of the Gothic Revival style of architecture evident in the arched windows and shutters. Unique to St. John Church and the German tradition in Texas is the coved ceiling with its rounded corners. The historic building is a museum with permanent collections, and has air-conditioning and heat for climate control. Rental includes a one hour rehearsal the day prior to the event and use of The Heritage Society parking lot for guest parking. Rental is for a four hour time period, which is time for any decorating, guest arrival, ceremony, photography and clean-up. For St. John Church usage guidelines. The Bandstand was constructed in c.1966 to replicate the original bandstand of Sam Houston Park that was constructed in 1900. The bandstand was moved in 2013 to its location next to St. John Church. Exhibition space consisting of a main gallery, a video room and a replica 19th century general store; contains a 1911 Ford Model T and photographs of Houston taken between 1930 and 1980. Availability is dependent upon the layout of temporary exhibitions. Rental includes use of The Heritage Society parking lot for guest parking and use of the kitchen for caterer use (if applicable). For Museum Gallery usage guidelines. The Tea Room is a long room with columns, hardwood floors and approximately 1300 square fee. Rental includes use of The Heritage Society parking lot for guest parking . This brick and concrete outdoor patio is available for receptions, corporate lunches, cocktail parties or seated dinners. The backdrop of Houston's skyline against the open green space of Sam Houston Park and The Heritage Society campus is impressive and unique to Houston. The landscaped brick patio is dedicated to the memory of Texas governor John Connally and has a magnificent oak tree and plantings; bounded by Allen Parkway in-bound and out-bound, with views of the 1823 Old Place and 1850 Nichols-Rice-Cherry House. Tenting is optional for events at renter’s cost. Capacity may be diminished due to tent structure. Additional fees may apply. For Connally Plaza usage guidelines. For reservations please email at facilities@heritagesociety.org. When emailing, please include the facility, type of event, date options, time and estimated number of guests in the body of your email.